Preheat the oven to 200˚C. Line a large, shallow baking tray with baking paper. Set aside until needed. 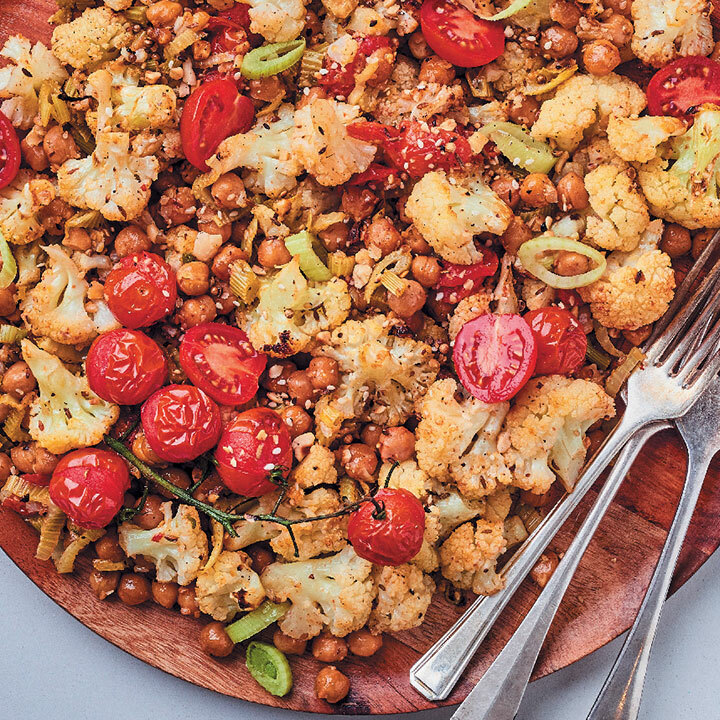 Place 500g cauliflower florets, 1 x 400g tin drained and rinsed chickpeas, 300g cherry tomatoes, cut in half (keep a handful of the tomatoes whole, for variety) and 4 chopped baby fennel bulbs in a large bowl. Season to taste with salt and freshly ground black pepper. Add 36g (4 tbsp) dukkah spice and a drizzle of olive oil. Toss to combine. Transfer the mixture to the prepared baking tray. Roast in the preheated oven, about 20 minutes. Serve with dollops of double-cream Greek/plain yoghurt, if desired.